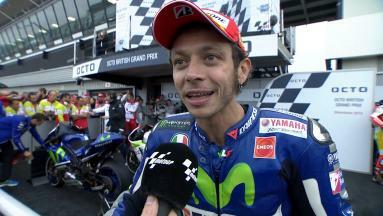 Rossi: “The last wet race that I won was ten years ago!" A dramatic Octo British Grand Prix saw Valentino Rossi come out on top as his championship rivals struggle. 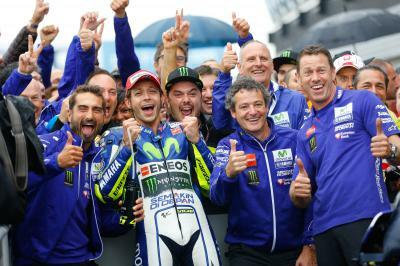 In classically British fashion, Sunday’s British GP saw rain fall at the historical track. Conditions had initially looked good, but increasing rain on the grid saw the entire MotoGP™ field dive for the pits after their formation lap, forcing the red flag to be brought out and the race restarted. 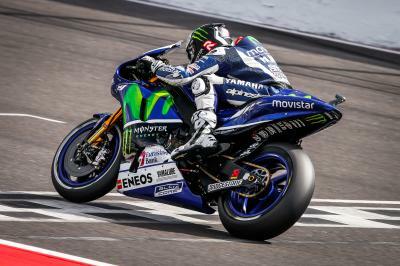 Rain continued to beat down as the MotoGP™ riders set off and the Italian was able to make a solid start and soon broke away with Marc Marquez (Repsol Honda) as Movistar Yamaha teammate Jorge Lorenzo struggled. 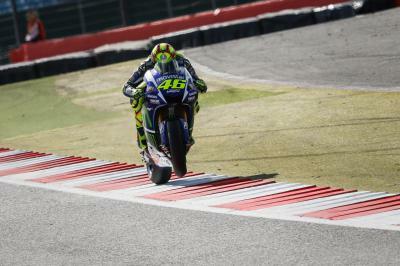 Marquez appeared to be gaining on Rossi but fell as he exited Turn 1, leaving Rossi to ride a lonely race. On the screens dotting the Silverstone circuit Rossi spied a replay of Marquez’s crash and eased his pace, but quickly found fellow Italian Danilo Petrucci (Octo Pramac Racing) gaining quickly. The last laps saw Rossi improve his pace to secure his fourth win of 2015 and regain the points lead. 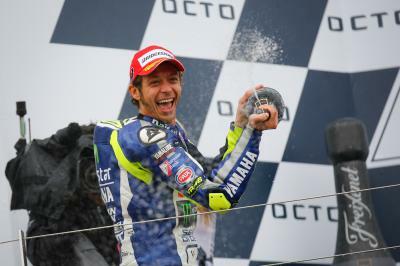 This victory puts him 12 points clear of Lorenzo in the MotoGP™ World Championship; the Spaniard is now Rossi’s only title concern as a result of Marquez’s fall. 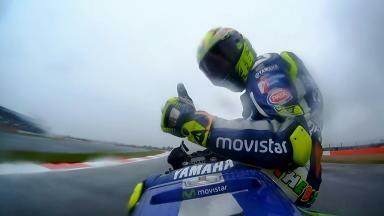 The MotoGP™ paddock next heads to Misano, Rossi’s home round where he’ll no doubt put on another master class for his fans. 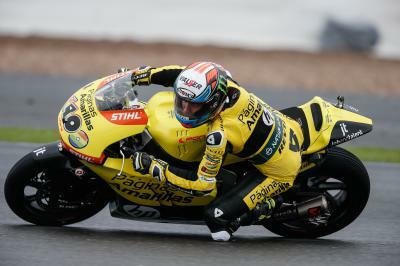 A strong second place finish for Alex Rins at the Octo British Grand Prix in tricky conditions. A dry line at the Octo British Grand Prix saw tyres fall off quickly, but Tito Rabat fought through issues to third. 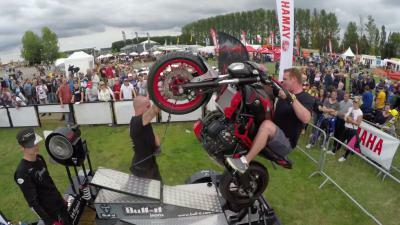 A drying track during the Octo British Grand Prix ripped rear tyres to shreds, but Johann Zarco kept his cool. 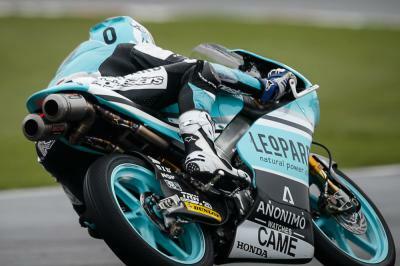 Danny Kent completely dominated proceedings in the wet at Silverstone to take his 6th win of the season ahead of Kornfeil and Antonelli. The offer is only valid until midnight 02/09/2015, so act fast! 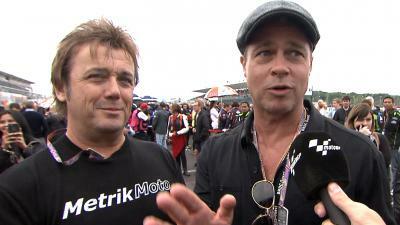 motogp.com catches up with movie star & motorcycle enthusiast Brad Pitt in Silverstone to talk about his new documentary, Hitting the Apex. 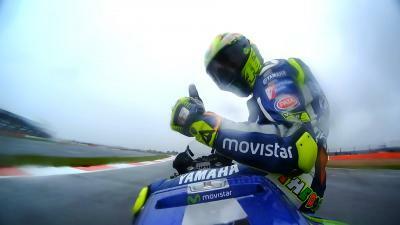 See the action like never before in this free 4K HD clip from Dorna Sports & BT Sport. 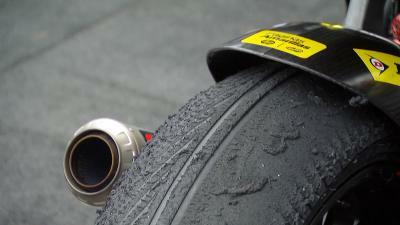 Check out the destruction inflicted on the wet Moto2 tyres during the drying 2015 British GP!